We're getting ever closer to the holiday season and that means the bigger game releases are starting to wind down for the year. 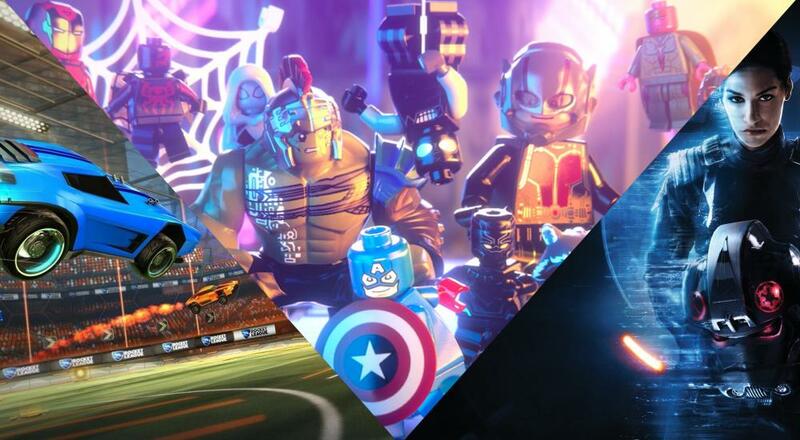 This week, we've got LEGO Marvel Super Heroes 2 on all the modern platforms, Rocket League on the Switch, and Star Wars: Battlefront II on PC, PlayStation 4, and Xbox One, though it's worth noting that only the console versions of the game support co-op per our site's definition. LEGO Marvel Super Heroes 2 (PlayStation 4, Xbox One, PC, Nintendo Switch) - supports two player drop-in/drop-out, couch co-op throughout the campaign. Confront Kang the Conqueror as he attempts to take over the entire Marvel timeline. Play as a multitude of incarnations of your favorite Marvel characters, including Captain America, Hulk, Thor, Iron Man, Black Panther, Captain Marvel, and Spider-Man. LEGO Marvel Super Heroes 2 is out today, November 14. Rocket League (Nintendo Switch) - supports up to four players locally or online in matches against A.I. bots. The 2015 smash hit arrives on the Nintendo Switch today. Just as other versions, co-op in Rocket League is limited to matches against A.I. bots. The Nintendo Switch version features cross-play functionality between the PC and Xbox One versions of the game. Rocket League for the Nintendo Switch is out today, November 14. Star Wars: Battlefront II (Xbox One, PlayStation 4) - supports up two player couch co-op in the "Arcade" mode only. The latest Star Wars game arrives on Friday, November 17 and while it offers a new single-player campaign, its co-op offerings are pared down a bit from the previous title. Rather than support online and offline co-op, only couch co-op is supported in the Arcade mode where players can take on A.I. enemies. Couch co-op is also only supported in the console versions of the game; the PC version has no co-op whatsoever. Page created in 0.8421 seconds.